The University of Louisville Women’s Soccer Summer Elite Camp is for all 13 to 18 years old female soccer players. It is on July 23, . The camp is ideal for players who aspires of playing at the elite collegiate level. The camp will immerse the players into a collegiate training environment. They will gain more knowledge about the technical and tactical facets of the game. In addition, the camp will prepare the athletes physically and mentally. It will also include personal development. The camp will be in Lynn Stadium and Cardinal Park in University of Louisville campus. Similarly, both sites are top-notch soccer facilities. The organizers are the university women’s soccer coaching staff. Coaches from Division I, II, III, and NAIA will also attend the training program. The University of Louisville is part of the Kentucky state university system. Founded in 1798. it is the first public university owned by the city. It currently accommodates around 15,700 students. It is 171st in the US News and World Reports university rankings. The University of Louisville currently has 23 athletic teams. Most of these teams are outstanding in their field. The university athletic teams are known as the Cardinals. Since 2014, the University of Louisville Cardinals is playing in the Atlantic Coast Conference. Additionally, black and red are the university’s identity colors. The women’s soccer team has already 4 Conference regular season championships. They also have 5 Conference tournament championships. The head coach of the women’s soccer team is Karen Ferguson-Dayes. She is leading the team since 2001. She is the 2011 Big East Coach of the Year. Coach Karen Ferguson-Dayes brought the team into numerous NCAA Tournament appearances. This includes 2 NCAA Tournament Final 4 finish. She is a USSF B license as well as an NSCAA Advanced National Soccer license holder. Then, the teams assistant coaches are Andy Stoots and Hunter Norton. Finally, director of operations is Jing Hughley. 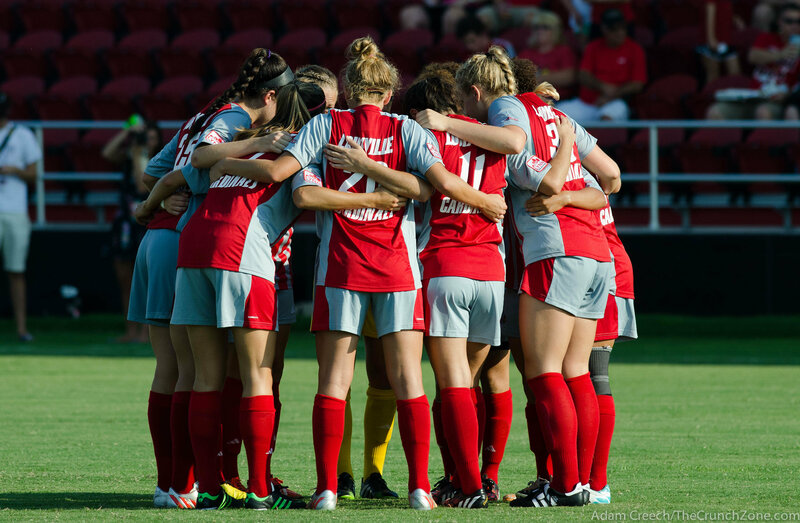 The University of Louisville Women's Soccer Summer Elite Camp is for passionate players who aspires of playing at the elite collegiate level.